CRAIG LEWIS identifies five key areas of importance if the Springboks are to be competitive against the All Blacks in Wellington this Saturday. The work of the All Blacks’ pack is often an unheralded but integral factor to the success of the indomitable Kiwis. The fact remains that the All Blacks boast the best success rates at both the scrum (100%) and lineout (83%) in the Rugby Championship to date. It’s an area where the Boks have endured some inconsistency this season, with their lineouts won percentage sitting at 82.7%, while they’ve won 83% of their scrums (according to Sanzaar’s official stats). If the Boks are unable to at least achieve parity at the set pieces, they will have little chance of remaining in the contest. The All Blacks’ attack can be devastating off first-phase ball, and it’s a platform that the Boks must look to disrupt. On their own ball, the Boks will be looking for far more stability at the lineouts (particularly in order to set up their maul), while Steven Kitshoff will be looking to vindicate his selection ahead of Beast Mtawarira when it comes to the all-important scrum battle. The All Blacks are a class apart when it comes to feasting on opposition’s errors and turnover ball. Their peerless click attack and ability to recognise opportunities from broken play has made them the most devastating counter-attacking team of the modern era. If the Boks cough up possession, inaccurately kick the ball away or concede soft turnovers, they run the risk of being torn apart on defence. With this in mind, the accuracy of the Springboks’ phase play and ball protection when in possession will be of utmost importance. 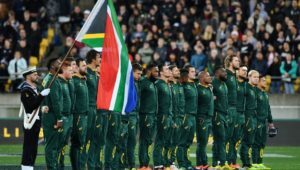 The Boks will not want to spend all day defending, and so their ability to play in the right areas of the field and retain possession in the tight-loose will be key to their cause. The All Blacks have hinted that they expect to face a prominent kicking game from the Boks, which has influenced their selection of towering fullback Jordie Barrett and aerial expert Ben Smith out wide. The Boks’ contestable kicking game will come sharply into the focus on Saturday, with the visitors needing to ensure they get the correct distance on their up-and-unders, while also setting their defence line efficiently if they don’t win back possession. The last thing the Boks will want to do is exit poorly or inaccurately punt the ball back to the All Blacks to run it back with time and space on their side. 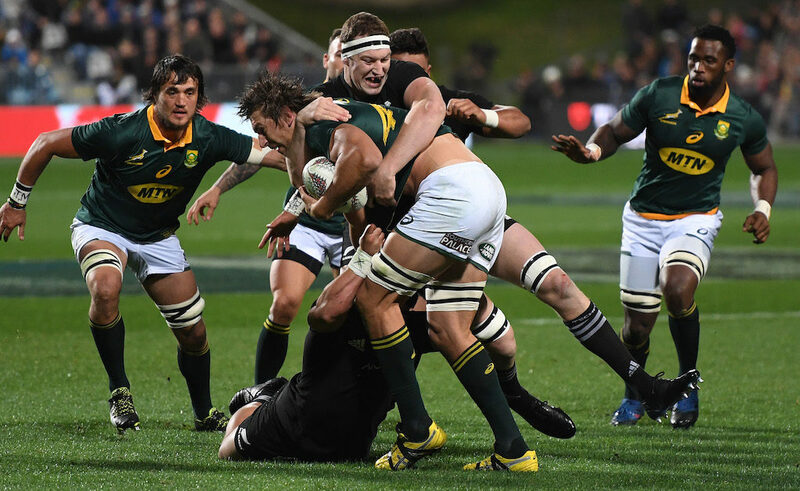 The Boks’ back three may well be peppered with some high kicks, and plenty will depend on how efficiently they handle this and the cross-kicking game of New Zealand. 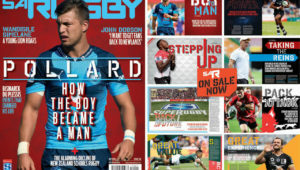 The Boks’ ability to compete so well against the All Blacks at Newlands last year was based largely on their insatiable defence, and yet one late lapse allowed Damian McKenzie to score a crucial try. The margins on defence are so small when facing the All Blacks and, as pointed out in an analysis piece earlier this week, they offer a variety of threats between backs and forwards. The Springboks will need to be more defensively switched on than ever this Saturday, with their decision-making, work rate and communication remaining of utmost importance. 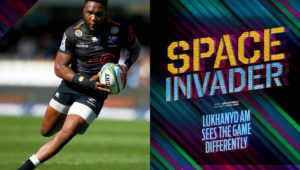 The Boks have been exposed on defence out wide at times this year, and so their organisation and spatial awareness must be much-improved, while players will need to quickly get back to their feet to ensure there are enough numbers on defence. They must also be switched on when it comes to coping with the threats the All Blacks pose from first-phase play and through devastating set moves. As a collective, the Boks will be determined to achieve physical ascendancy over the All Blacks on Saturday, while they must ensure that they don’t give away soft penalties when the hosts look to assert their own authority. A yellow card to Eben Etzebeth served as a setback for the Boks in Mendoza, while the two breakdown penalties conceded against Australia last weekend proved to be extremely costly. 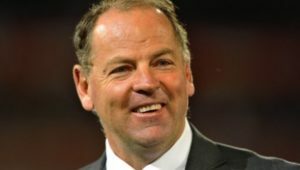 The Boks simply cannot afford to hand the All Blacks field position or easy points, while playing any period of the match with a one-man disadvantage would be a recipe for disaster. Besides the premium placed on discipline, the Boks will virtually need to ensure that they take each and every opportunity on attack. The Springboks are increasingly creating enough opportunities, but their execution has been sorely lacking at times this year, and they simply have to get this right in Wellington.